New Kowalah is not an app in the AppStore or Google Play (for now) so you cannot find it by searching there. You will still see the old Kowalah in the AppStore or on your homescreen but it will not allow you to make bookings. New Kowalah is designed to work on your mobile - that's where we prefer to access it from! 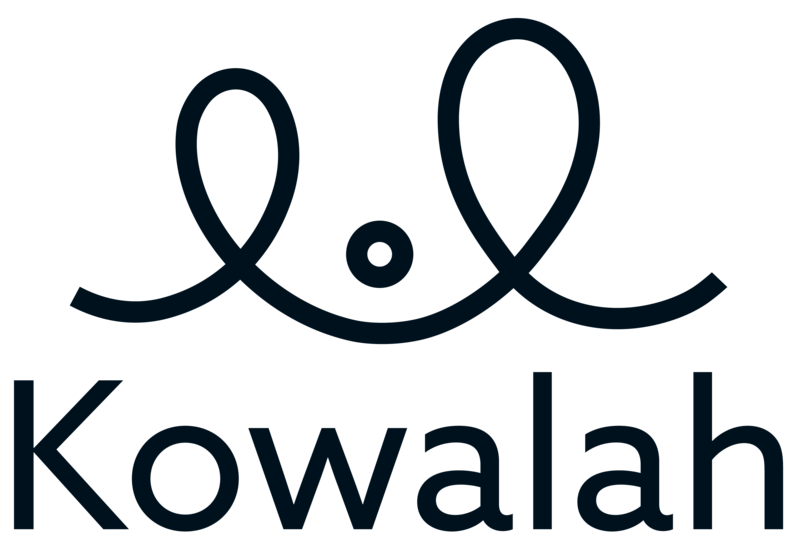 If you have made a booking with Kowalah previously then your username will have been sent to you before the new platform went live. Look for an email from help@kowalah.com. You will be asked to reset your password the first time you login. Your browser will typically ask if you want it to remember your password - say yes and it will be easy to login each time! If you have not got an email from Team Kowalah is maybe that we hold an old email address for you. If so - email help@kowalah.com and we will investigate. If you had signed up to Kowalah but never created a booking then you can sign up again by visiting www.kowalah.com and clicking Sign Up at the top of your screen. How do I get my phone to remember by password? We recommend using Chrome as your browser on your phone. Chrome will ask you if you want it to remember your password and will automatically pre-fill the next time you visit my.kowalah.com. Once you are logged in tap on the silhouette icon at the top right of your screen. Here you will be able to add your family photo, update your name, address and contact details. These will have been migrated from old Kowalah so should be correct unless you have moved. Your photo is easily added when logged in on your phone as you can use your camera. Currently your photo is not shown to any other Kowalah user at any point. We will advise you if this changes in the future. How do I make a single booking? On login to Kowalah you will see a big button - Make a Single Booking. Tap this and you will be asked for key information to help our Kowalahs make a decision. In new Kowalah you have the ability to request an alternative address as well as request additional services such as a school pick up. New Kowalah will automatically calculate fees for overnight stays and last minute bookings. Once complete click Find Me a Kowalah! and we’ll get to work letting local Kowalahs know about your requirement. As in the old platform we will notify Kowalahs in real time - so only click Find me a Kowalah if you really need one! You are able to watch responses come in in real time (no need to wait 15 minutes) or, as soon as the first Kowalah has responded we will send you an email so you can look at the Waiting Room. In this screen you can watch Kowalahs respond and also see how your Preferred Kowalahs have responded (see below for more!). Once you have enough Kowalahs that have responded you can click “Choose Your Kowalah” and go on to swipe through those that have accepted, read their profiles and reviews. Once you have found your favourite just tap and the booking is confirmed! Once you have used a Kowalah once they will automatically appear in your Preferred Kowalah list for future bookings. You can select and deselect them as needed. When a Preferred Kowalah is included in a Booking Request they will receive an additional notification to let them know you really want them. You will also be able to see them in the response Waiting Room even if they have declined, or have a pre-existing booking, so that you know not to wait for them. How do I make a Regular Booking? A regular booking is for ongoing sessions - such as afterschool care throughout term time. Tap the Make a Regular Booking button on the home screen and follow a similar process to the one off bookings. You will be asked for a start and end date, and which days a week you would like your Kowalah. Once you submit one of the Kowalah team will review the request manually before sending the request on to the Kowalahs. Our team will work with you to review the profiles and book in the right mix of one of more Kowalahs. On the homepage you will see a button to update your card details. If we have attempted to take payment and been declined either because of incorrect card details or no funds, when you update your card details we will let you know the amount that we will attempt to debit from your account. How can I contact a Kowalah that has an upcoming booking? On your Confirmed Bookings tab you will see all your upcoming bookings also showing the name and photo of your Kowalah. Next to them you will see a text and call button - just tap these to communicate directly with your Kowalah. Eeek! I need to cancel! Sometimes plans change or children are ill. If you need to cancel contact us via the Help button/question mark at the bottom of the Kowalah screen as soon as possible so we can let your Kowalah know. Bear in mind that cancellations with under 24 hours notice will incur a charge. In new Kowalah we’ve made it much easier to provide feedback to your Kowalahs! On your history tab you will see a Rating button. Just tap here and rate them from 1 (very poor) to 5 (super star!) and add some comments on your experience. Ratings are all averaged into the Kowalah rating and are used by other parents to decide which Kowalah to use so please do take the time to provide your honest feedback. Yes, in new Kowalah the Kowalahs also rate families at the end of a booking. This helps other Kowalahs decide whether to accept future bookings from parents. Parent ratings are averaged and you can see your Kowalah Rating on your profile page by clicking on your photo. How do I keep my Kowalah Rating up? In new Kowalah payments will be taken around lunchtime the day after a booking. This gives you time to query the timings you received on your receipt at the end of the booking. How do I book a favourite Kowalah again? On your History tab you will see all your historical bookings with the name and photo of your Kowalahs. You will see a Book Me Again button. Tap this and you will go through the same One Off Booking process and the Kowalah will be automatically ticked as a Preferred Kowalah ensuring they get an additional notification. We will also ask other Kowalahs at the same time just in case your favourite already has a booking. We know getting used to a new platform can be a challenge and we are here to help! We’ve embedded a Help Centre into the platform - at the bottom of your screen you will see a Question Mark (or on your laptop it will say Help!) Tap this and you can search for an answer to your question. Still stuck - click Contact Us and let us know how we can help!